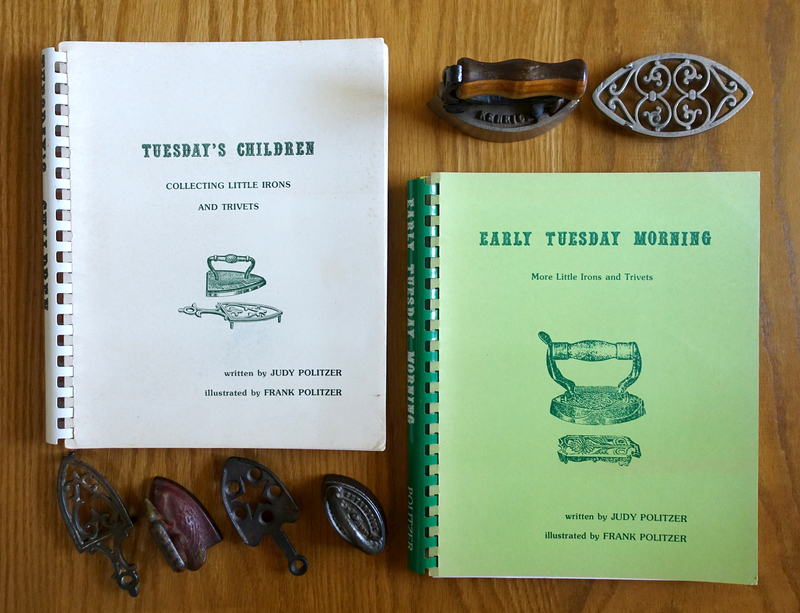 The books Tuesday’s Children (1977) and Early Tuesday Morning (1986) are considered the definitive references on little irons and trivets. Written by Judy Politzer and illustrated by her husband Frank, each book is thoroughly researched with descriptive text, photographs, illustrations and catalog pages throughout. 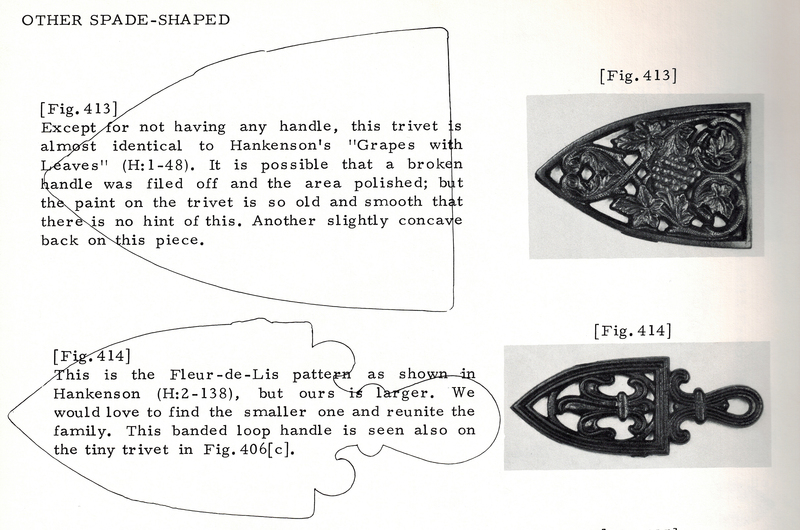 One of the most unique and appreciated features of these books is that each iron sole or trivet perimeter is traced over the text describing the item, making possible a direct size comparison. There’s also guidance in differentiating an original from a reproduction, as well as a comprehensive Index which facilitates cross-referencing. 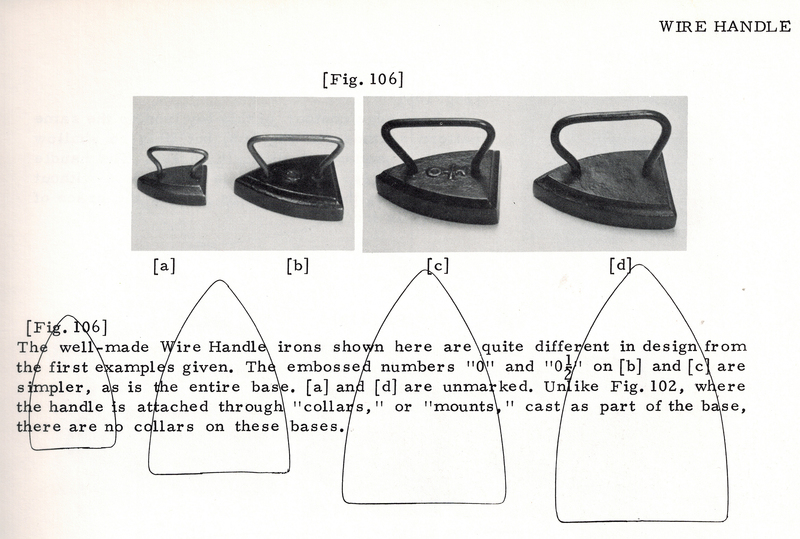 In using both books I’ve found very little duplication of information in the hundreds of irons and trivets presented. Vintage, used copies of these two reference books are available online. However, if you’re looking for reference books in mint condition, did you know you can purchase copies through Pressing Iron and Trivet Collectors of America? After Frank Politzer passed away, his family bequeathed the unsold copies of Tuesday’s Children and Early Tuesday Morning to PITCA. You’ll find these spiral bound books available for sale at the PITCA website. This entry was posted on May 27, 2017 by Lynn Rosack in References for Collectors, Toy Trivets & Irons and tagged cast iron, Early Tuesday Morning, Judy Politzer, Tuesday's Children.